Do I need any of this stuff? | It's Time To Start Running! 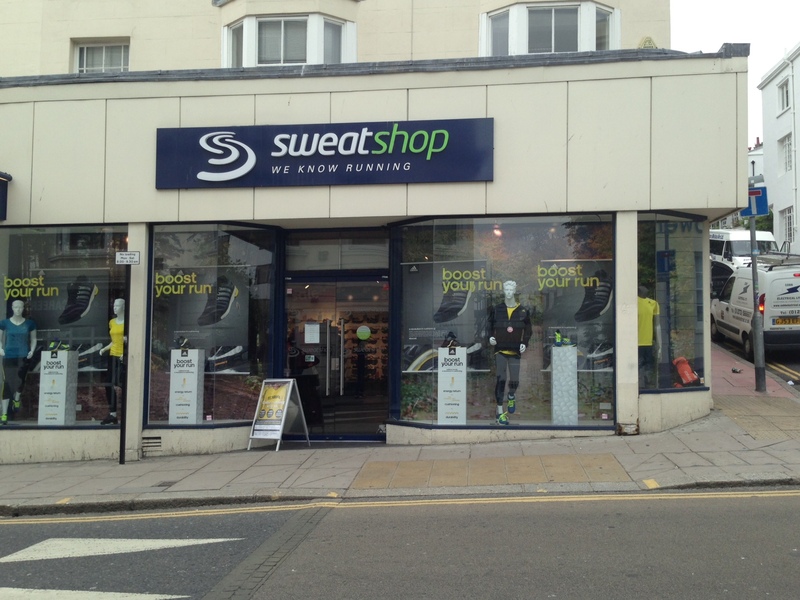 There are a few running shops in Brighton and also general fitness stores. I think one of the best is Sweatshop on Queens Road. This is not a plug for them and I am in no way associated with them. But in the interests of full disclosure I did go in there on Saturday, looked about at all the stuff and walked out thinking ‘do I need any of this stuff? Maybe I can be a bit geeky at times so I decided to save my money. As I have only been running a week I want to make sure I actually keep this up before robbing myself of more cash better spent post run drinking. Although I generally prefer independent shop this lot seem to have a pretty good background and ethos. They are also involved in setting up free 5k runs which I may consider doing one weekend. They happen all over the world and there is one in Brighton. The Brighton & Hove parkrun is every Saturday in Hove Park. As you run more you’ll start to make decisions about the things you need and then the things you want. I’ve been thinking about posting my personal running essentials but I’m sure it’s different for everyone.